Absher is a service by MOI. In this article i try to explain registration process and also write some benefits of this awesome service. This is a very simple process and it has many benefits, just follow below steps to sign up on ministry of interior website easily. Click here to check the benefits of MOI Absher Saudi Account. 1. 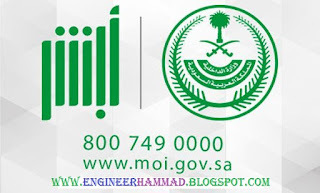 Open MOI (ministry of interior) website http://www.moi.gov.sa and select your language. (english is easy for expats). 2. At the top of your right side click on new user to register new account on MOI. 3. Now write your detail like iqama number, email address, mobile number and preferred language etc. 4. Now check the box of term and conditions and click ok to proceed. 5. Now wait for sms message, that will be receive on your mobile number that you write during sign up. 6. Now write username and password then click ok.
7. You have done just print the form to activate your account. 8. Now visit your nearest Jawazat office for activating it. 9. If you have bank account, then you can also activate by internet banking. 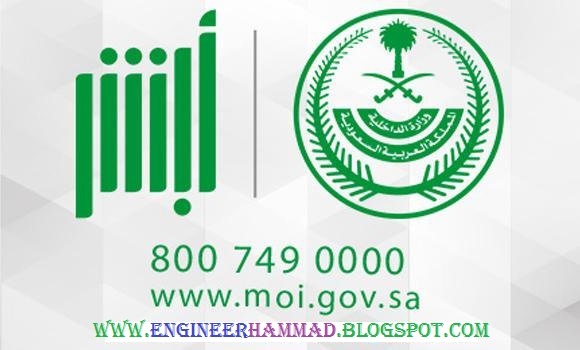 To get the benefits of Ministry of interior (MOI) you have to get register first for Absher service from MOI. 1. You can check any type of traffic violation penalties and can generate inquiry. 2. Can check your validity date of your vehicle insurance. 3. Visit visa of your family members can be extend. 4. You can check eligibility for Hajj. 5. You can check medical insurance detail. (How to check medical test report online). 6. Issue and check exit re entry visa for your dependents. 7. You can renew vehicle istimara. 8. Sponsorship change can be check. 9. You can check funds under your iqama. 10. Traffic violation fine and violation number also can check. 11. You can check iqama status and expiry date.